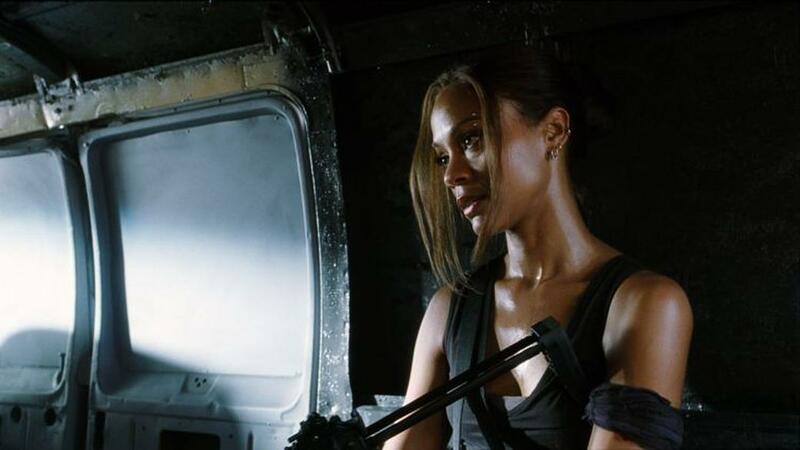 Zoe Saldana as Aisha in "The Losers." 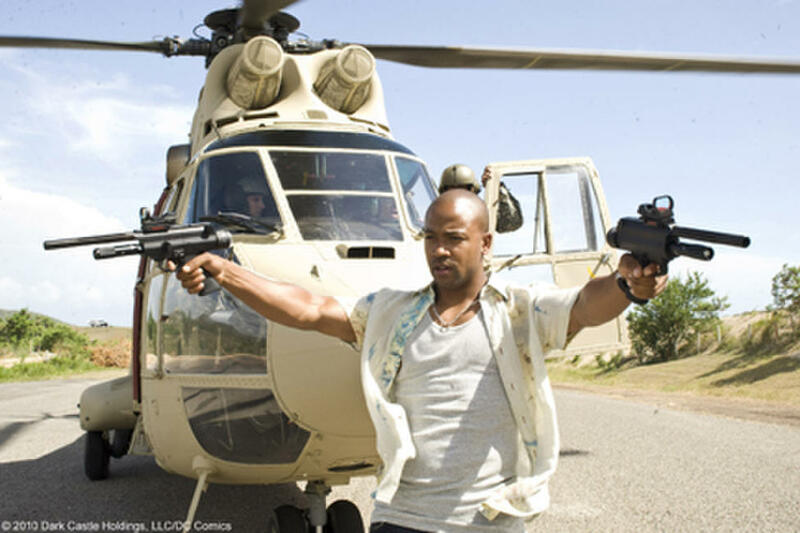 Columbus Short as Pooch in "The Losers." 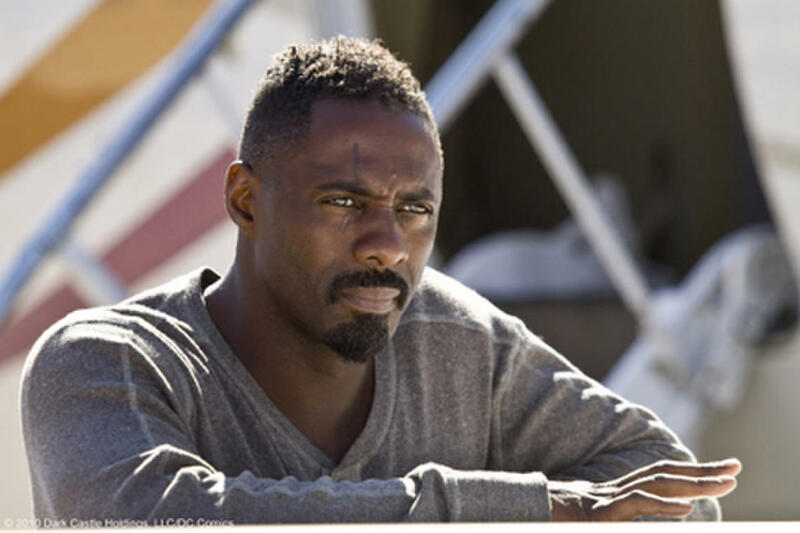 Idris Elba as Roque in "The Losers." 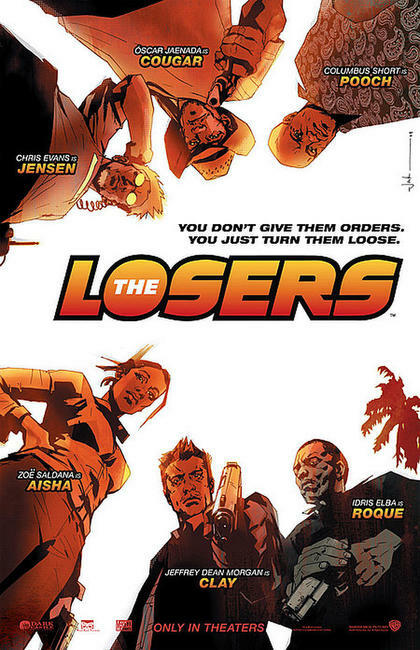 Zoe Saldana as Aisha, Chris Evans as Jensen, Idris Elba as Roque and Columbus Short as Pooch in "The Losers." Idris Elba as Roque, Oscar Jaenada as Cougar, Jeffrey Dean Morgan as Clay, Chris Evans as Jensen, Columbus Short as Pooch and Zo? 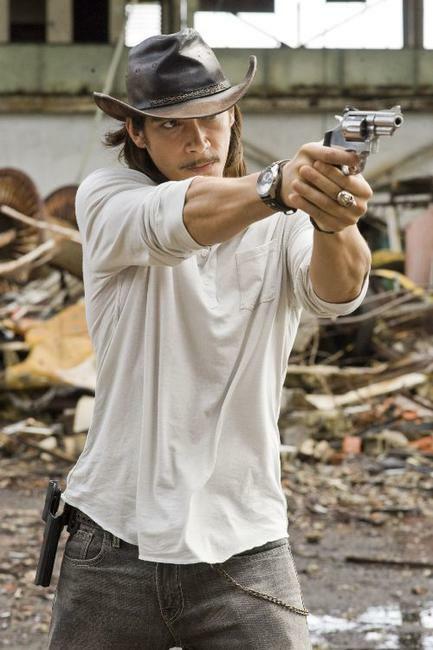 Saldana as Aisha in "The Losers." 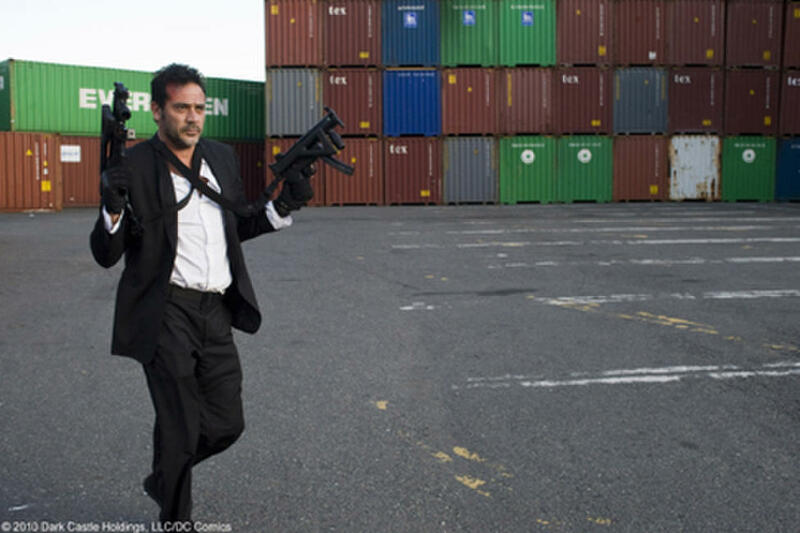 Jeffrey Dean Morgan as Clay in "The Losers." 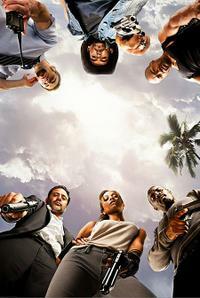 Zoe Saldana as Aisha and Jeffrey Dean Morgan as Clay in "The Losers." 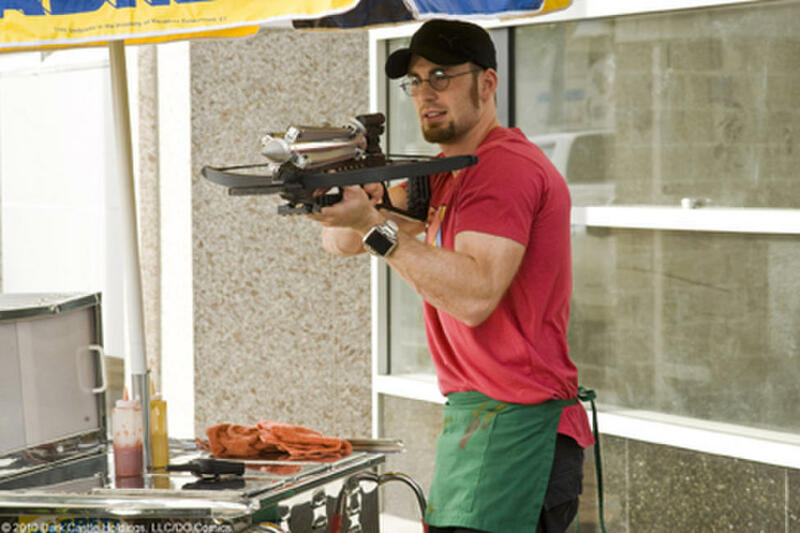 Chris Evans as Jensen in "The Losers." Columbus Short as Pooch, Chris Evans as Jensen, Zo? Saldana as Aisha, Oscar Jaenada as Cougar and Jeffrey Dean Morgan as Clay in "The Losers." 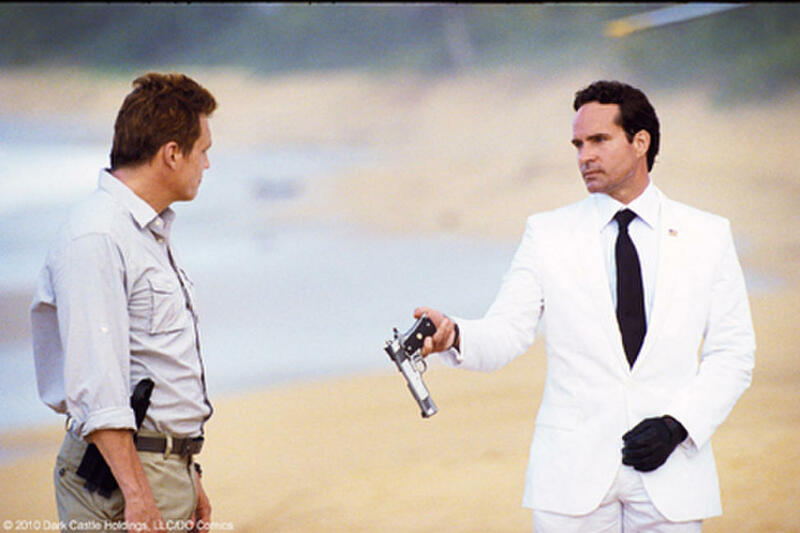 Jason Patric as Max in "The Losers." 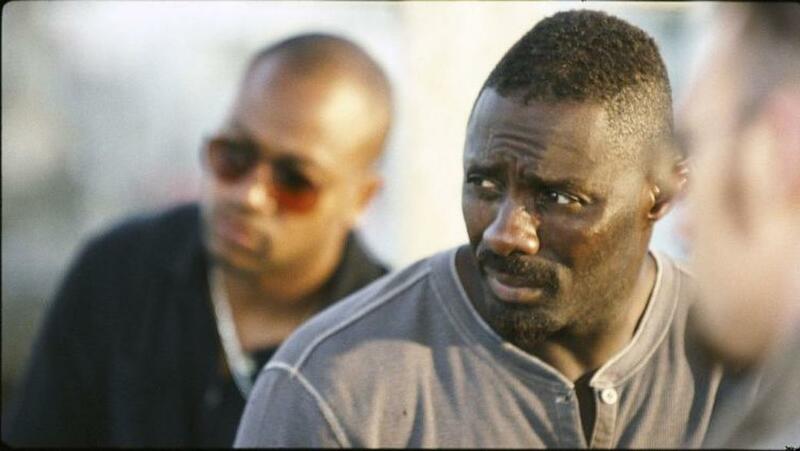 Columbus Short as Pooch, Chris Evans as Jensen, Oscar Jaenada as Cougar and Idris Elba as Roque in "The Losers." 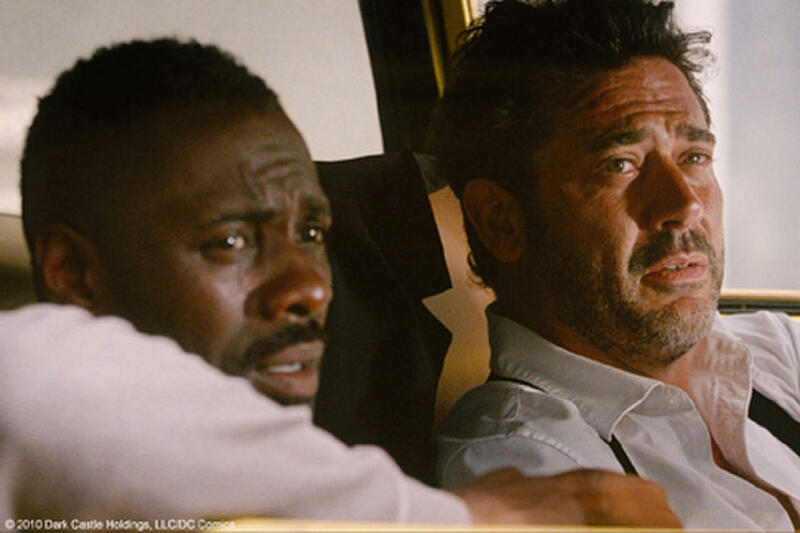 Idris Elba as Roque and Jeffrey Dean Morgan as Clay in "The Losers." 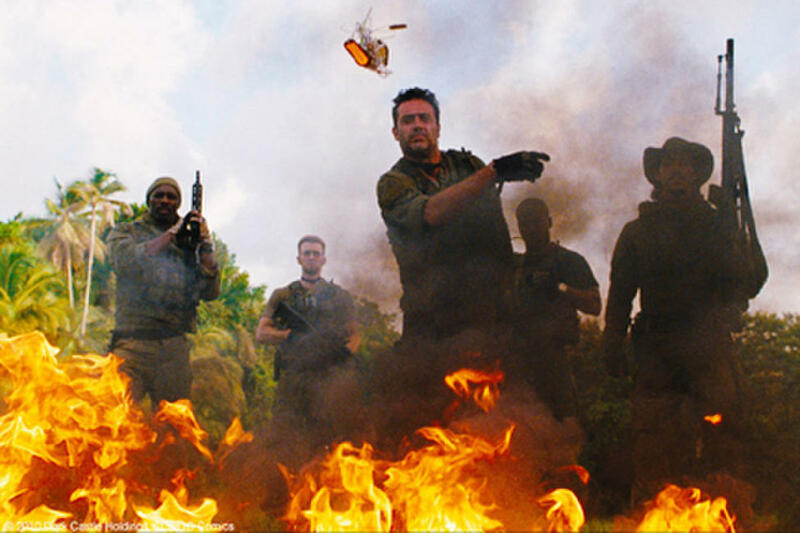 Idris Elba as Roque, Chris Evans as Jensen, Jeffrey Dean Morgan as Clay, Columbus Short as Pooch and Oscar Jaenada as Cougar in "The Losers." 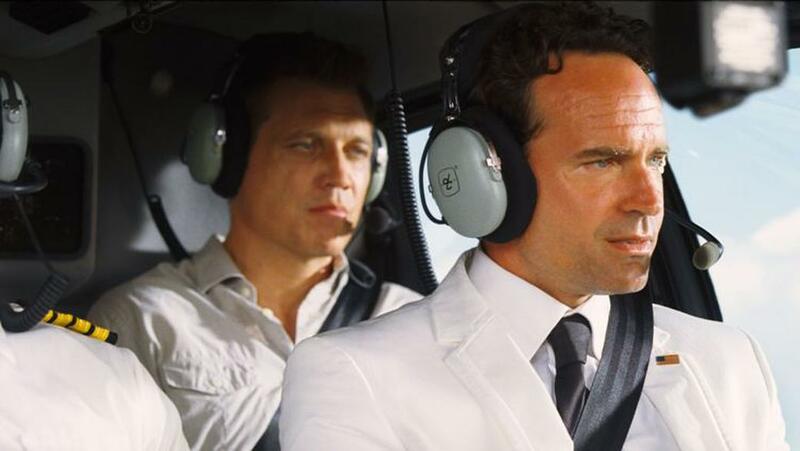 Holt McCallany as Wade and Jason Patric as Max in "The Losers." 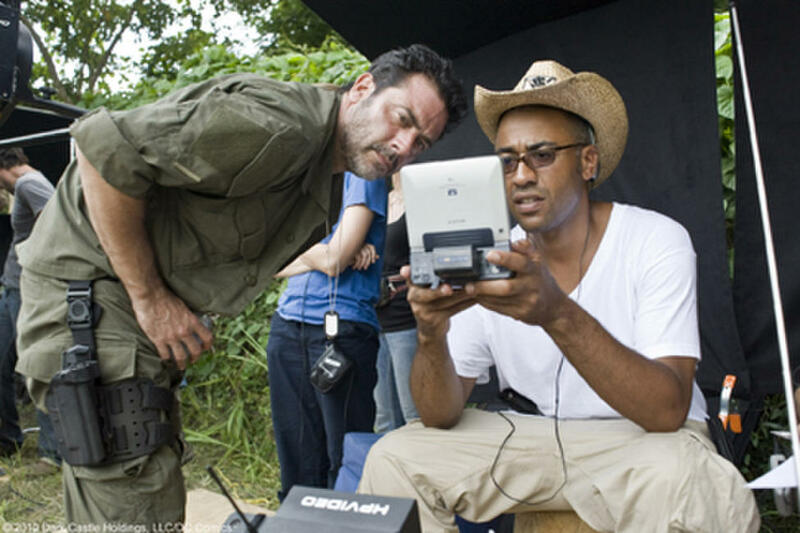 Jeffrey Dean Morgan and director Sylvain White on the set of "The Losers." Zoe Saldana as Aisha, Chris Evans as Jensen, Jeffrey Dean Morgan as Clay, Columbus Short as Pooch, Idris Elba as Roque and Oscar Jaenada as Cougar in "The Losers." 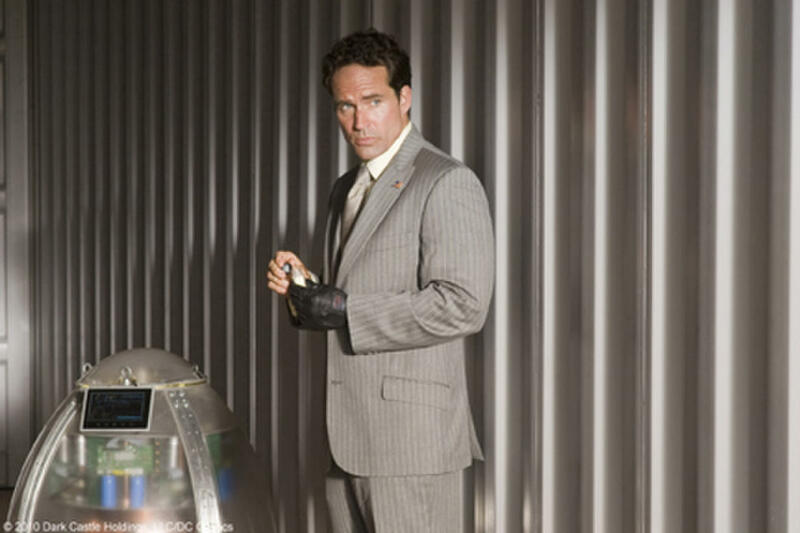 Oscar Jaenada as Cougar in "The Losers." 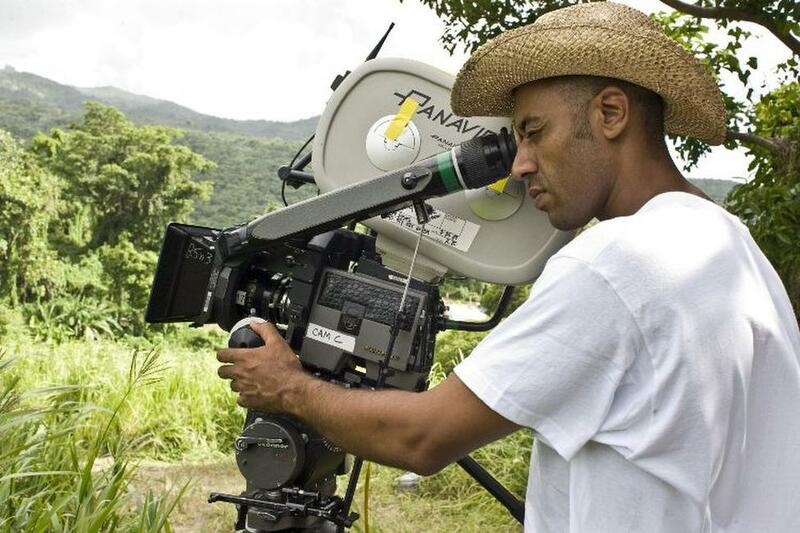 Director Sylvain White on the set of "The Losers." 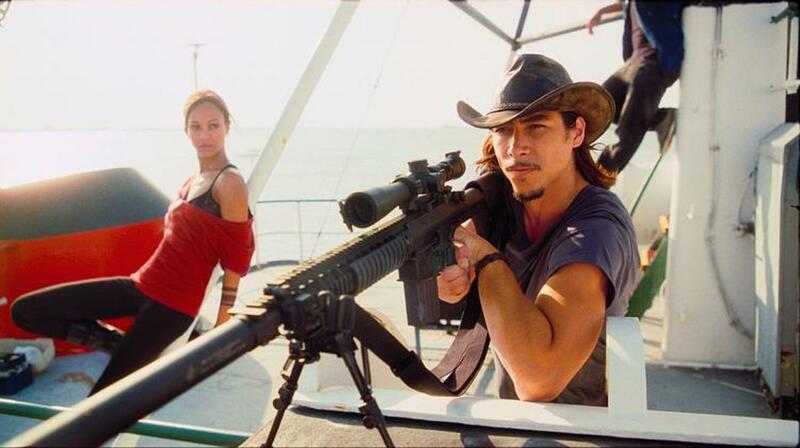 Zoe Saldana as Aisha and Oscar Jaenada as Cougar in "The Losers." 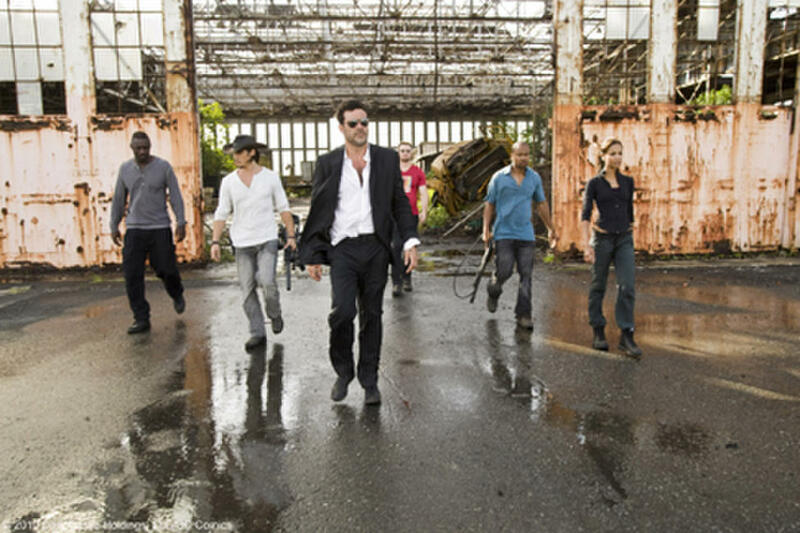 Jeffrey Dean Morgan as Clay and Zoe Saldana as Aisha in "The Losers." 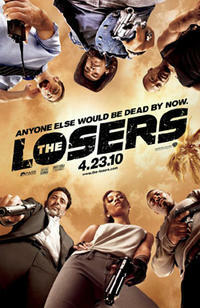 Poster art for "The Losers."